There was a significant frost on the night of the 23rd April in the growing regions. The frost was wide spread and temperatures dropped between -1 to – 3 degrees between 4.00 and 6.00 am. 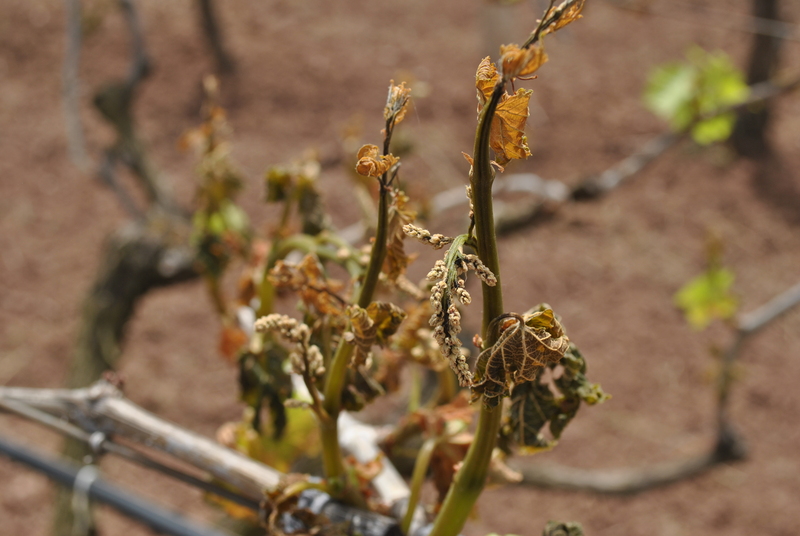 There was already some dew on the vines at this time which resulted in a negative affect combined with the frost and this effectively burnt the developing bunches and leaves. The damage is very severe with some vineyards losing 90% of their bunches. Although this is in the extreme cases, very few vineyards have escaped and the extent of damaged is different throughout the growing regions. 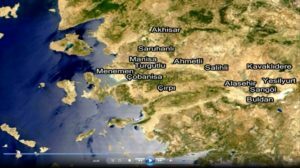 In the regions of Ahmetli, Turgutlu, and Sahili the damage is around 50% on average. In Alasehir the damage is lower around 15 -20%. In the region of Saruhanli, Akisar and Golmamara the damage is in the region of 60%. 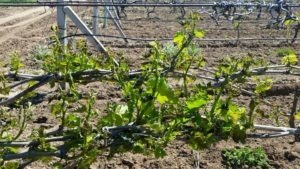 Prior to the frost of the 23rd April there had been another frost a week before which did some limited damage, but critically hampered new births on the vines. This combined with the already developing bunches being damaged has had a huge impact. 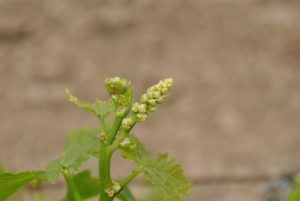 It is now very unlikely that the vines will now have a significant number of new births and those that are developing are male flowers and will not go on the develop fruit. 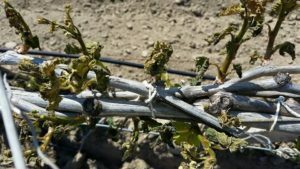 On speaking to growers their view is now more about damage limitation to the vines. 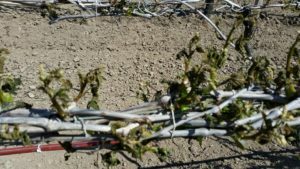 In most case they have written off the crop from this year and will prune back the dead stems and treat the soil for the 2016 crop in order to protect the vines they have. 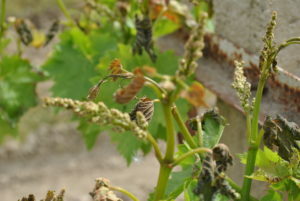 As you tour the various areas it is clear to see where the frost has damaged the vines as they have all turned brown. In the coming days there will be more new vine leaf growth and it will look like that the vines are more healthy again, however this is leaf development and not fruit, so although you can see healthy green vines the fruit has already been damaged and will not recover. 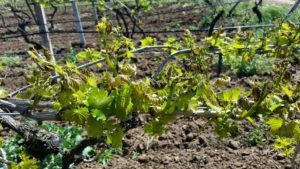 Typically the yields from a deciare of vines would be 500kg, last season this was much higher as it was a bumper crop, so we were seeing yields of up to 700kg. 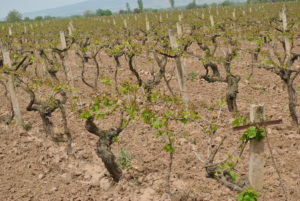 This year in the severely damaged vineyards they will not get more than 100kg. 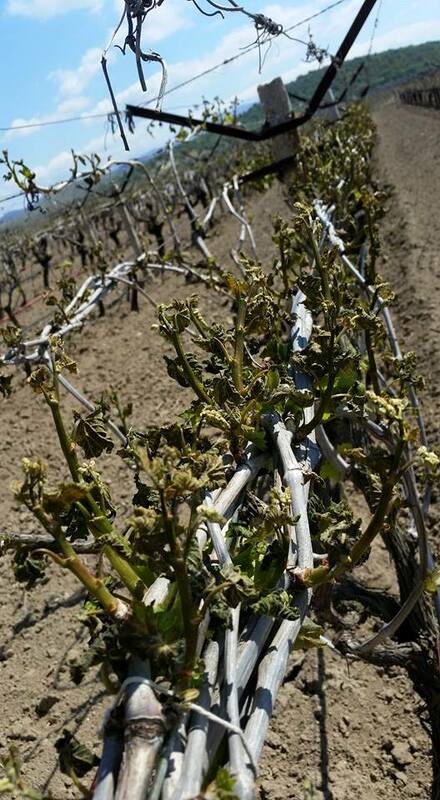 The growing area is approximately 900,000 hectares, of this we estimate that 360,000 hectare has been lost due to frost damage, this is effectively 90,000mt of fruit. 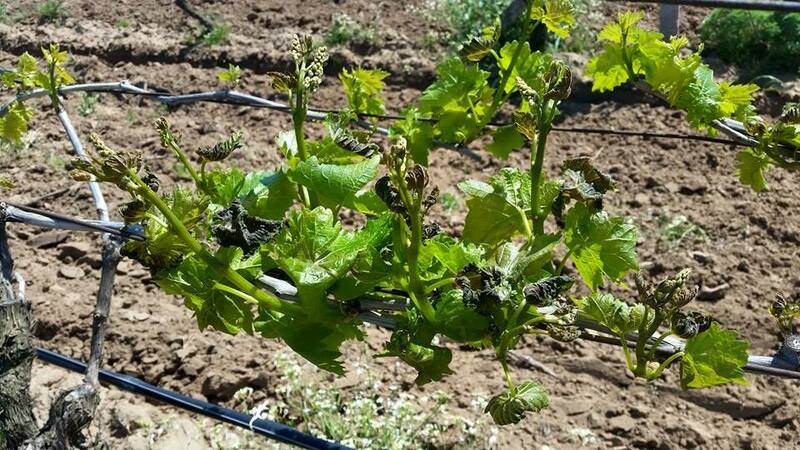 Those areas less effected such as Alasehir which also produce for fresh grape exports, typically 35% would be sold as fresh grapes. With losses of 20% this area will now account for half of its production as Fresh as this will take priority so the availability for dried will be less from this area. Last year the crop was approximately 320,000 mt, this year based on an assessments of early development the crop was not looking as good and was estimated to be around 270,000mt as well the birth rates were lower. Using this as a starting point and applying the level of damage we do not expect to see a crop greater than 180,000 mt and this is an optimistic figure. We are expecting to see a carry in of around 35,000mt so the total available quantity will be around 215,000mt. The industry, particularly that in Turkey has been much maligned for exaggerating the situation in the past, but this year there are very genuine reasons why we can expect a tough season. California’s 2014 almond acreage is estimated at 1,020,000 acres, up 5% from the 2013 acreage of 970,000, according to a recent survey conducted by the National Agricultural Statistics Services. Of the total acreage for 2014, 870,000 acres were bearing and 150,000 acres were non-bearing. Preliminary bearing acreage for 2015 is estimated at 890,000 acres. Please find the attached historical almond production and bearing acres chart. 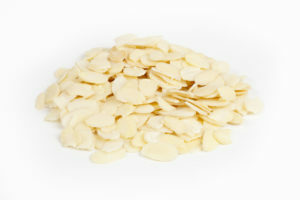 Please find the attached almond pricing charts for Stds-5% and NPS. Today, the National Agricultural Statistical Survey from the USDA reported an increase in almond acreage planted this past year (see report in attachment). From the outside looking in, increasing acreage may seem counterintuitive to the current drought challenges facing our state. There are, however, a couple of facts that are key to understanding this report and what it means for our state’s most precious resource. It is important to understand that the trees that were planted as part of this recent expansion in acreage were purchased over two years ago when the extent of this drought wasn’t fully known. Because tree nurseries don’t cultivate trees until they have orders, almond farmers must forecast their needs two years before they expect to put trees into the ground. Farmers who are finally receiving these orders are now left in the unenviable position of having to decide whether to plant these trees despite a significant lack of available water or lose their substantial investment. While it may seem selfish to choose to plant instead of fallow their fields, there are several reasons why it makes sense to move forward even in the face of a severe drought. First, while recent news reports make it seem like fallowing fields has no repercussions other than saving precious water, the reality is that there is a huge economic impact. Last year alone, the drought cost farmers more than $1.5 billion and caused the loss of 17,000 jobs.1 In fact, You might be surprised to know that the total amount of irrigated farmland in California has been decreasing in recent years. Whether it’s an annual crop like tomatoes or a perennial crop like almonds, fallowing fields means laying off workers, reduced spending with service providers and lost income. While media reports have blamed almonds as a contributor to our current woes, the fact is that almonds make up a little more than 10 percent of the state’s irrigated farmland and use less than that percentage of California’s agricultural (not total) water. 3,4 Fallowing fields won’t solve our problems – only more rain will do that – but it will create substantial new ones. 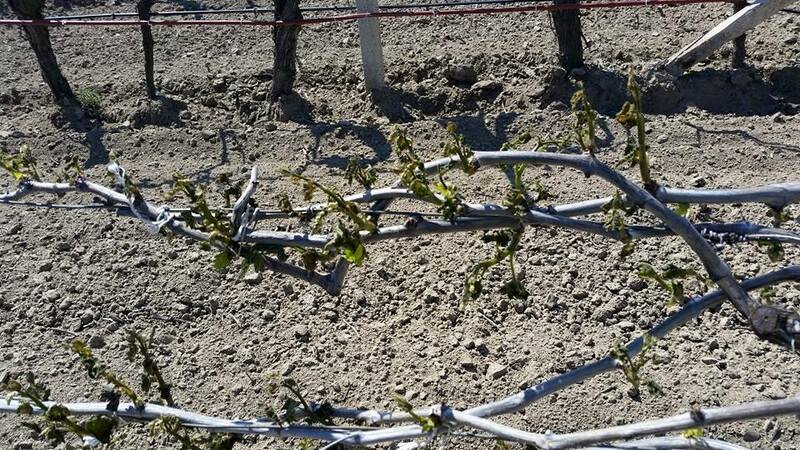 Second, these new orchards do not use as much water as a fully established orchard. 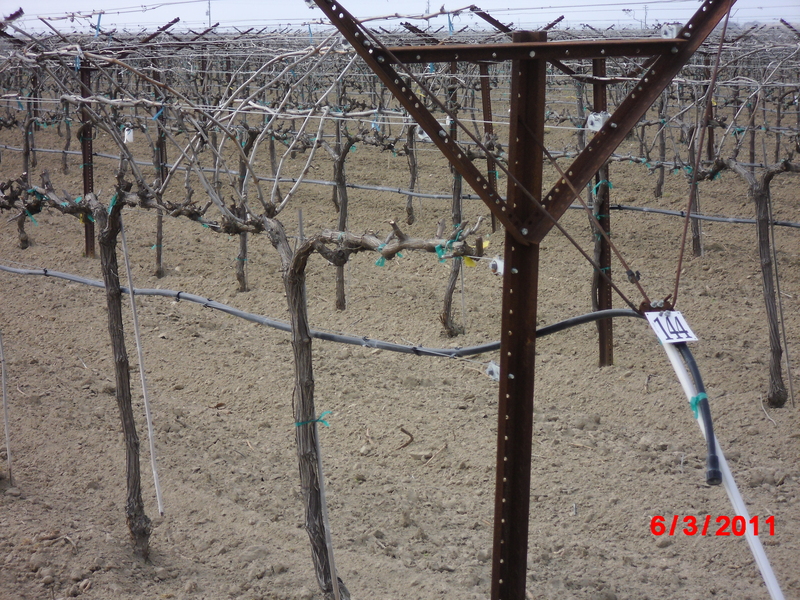 For the first three years, these young orchards require significantly less water as they establish themselves. So, in essence, farmers who are expanding their orchards are betting on the future. Should this drought continue and they can’t acquire water, they will ultimately lose their trees anyway. But, if we return to normal precipitation in the coming years, these trees will help the economy recover quicker by providing a crop that returns to California high economic value for the water it uses. Finally, in some cases, newer trees are being used to replace older orchards and that presents a significant opportunity to create a more water efficient future. 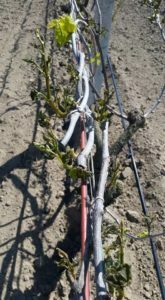 When an orchard is replaced a farmer can upgrade the irrigation system with the latest drip and micro sprinkler technology which conserve water by decreasing water runoff, applying water directly to the root zone to avoid waste, and for precise timing and rate of irrigation. 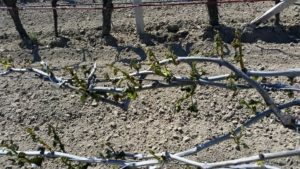 Based on findings from the California Almond Sustainability program, more than 70 percent of almond orchards already use micro-irrigation systems.5 As a result, the almond industry has been able to reduce the amount of water it takes to grow a pound of almonds by 33 percent in the last 20 years. 6 Replanting can only help to improve those numbers. We are committed to doing our part to help manage the current drought in a way that benefits all Californians. We need long-term, holistic solutions with input from all stakeholders. In the meantime, however, it makes no sense to let trees ordered two years ago die before they are put in the ground. The prices of Hulled Sesame Seed started dropping from US$ 2000 PMT CFR EMP in month of February 2015. The prices stopped at around US$ 1800 PMT towards end of March 2015. Around beginning of April The availability of the Raw Material tapered off suddenly. At around the same time Koreans came out with a Tender to buy 8000 Mts of Natural Sesame Seed. Indian exporters were awarded contracts for 5500 Metric Tons of Natural Sesame seed at prices. As a result Raw Material prices started going up. The prices of Hulled Sesame Seed went northwards to a level of about US$ 1925-1950 PMT CFR EMP. The demand from the customers was still bleak hence small volumes were traded. As of now, Gujarat summer crop of Sesame Seed is expected to harvest around 15th May 2015. 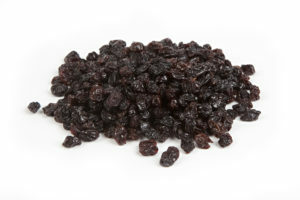 It is estimated that the crop size would be around 35-40,000 Metric Tons. Another important factor is Foreign Exchange. As you would know that US$ has become stronger against all the currencies including Indian Rupee. Considering all the important factors, the current price of Hulled Sesame Seed Premium Grade would be US$ 1850 PMT CFR Felixstowe for May 2015 shipment. This in our opinion is a good price to consider buying. We are of the view that Hulled Sesame Seed prices will either remain around this level or may go up as and when we see a demand from the customers. 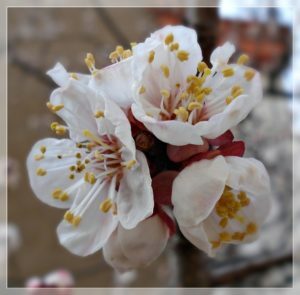 The bloom for crop 2015 apricots was not satisfiying due to continuous frosts and heavy rains during March – April months. The weather conditions went quite unusual and the temperatures were lower than the seasonal averages for Malatya this year. 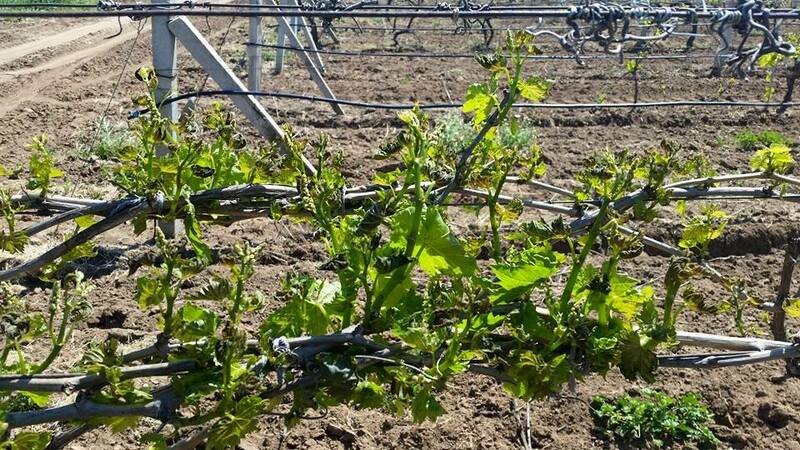 There was another frost took place on 24th of April as the temperatures hit -3 C at Malatya while the fruit has came out of the flower which is the most risky stage for the product. 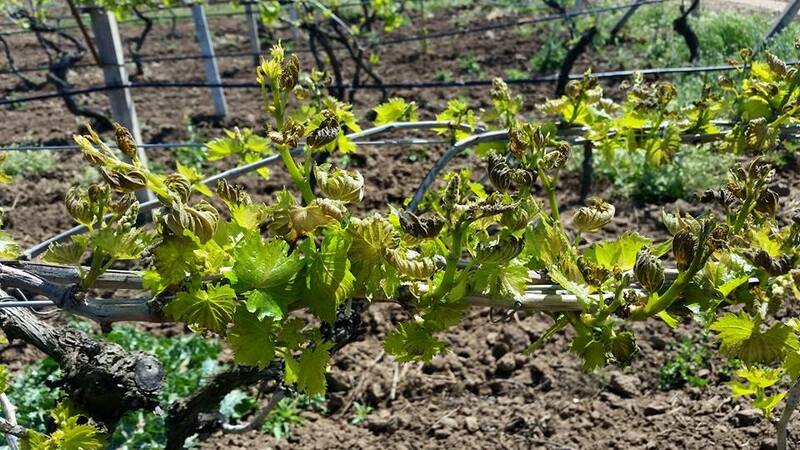 Luckily, the frost of 24th of April didn’t effect the growing area as bad as the estimations. The freeze has seen at the same regions which were already damaged by the earlier frosts therefore the overall picture didn’t change so much. The regions which were in good conditions before 24th of April are still stabile without any serious damage so far. 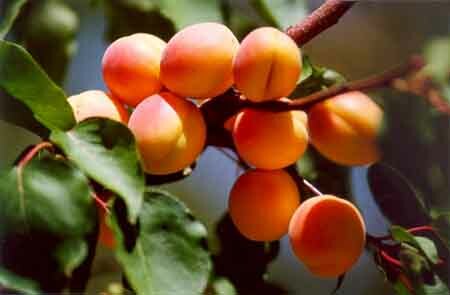 The US$ currency against TL will be a major factor effecting the apricot prices at the new season. The US$ reached 2,70 TL levels as of today and the expectations are an even higher currency in the next months. The subject increase of dollar against TL will create a pressure on the export prices in a positive way. Under normal market conditions, we are expecting the price of Type 4 apricots to be staying in the range of US$ 5.000 – 6.000.-/Mton during the new season. The new crop will be delayed for about 20 days due to late start of the bloom and continuous rains during March – April months. The first shipments of the new season will take place after 15th of August this year. 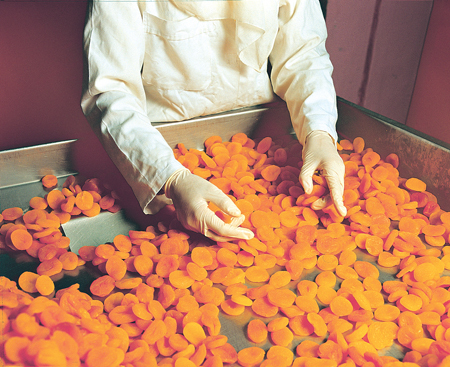 It seems like end July – early August shipments of new crop apricots will be impossible this season therefore the buyers should take their positions accordingly. We are expecting a volatile market for current crop goods in the coming weeks cause the availability of the goods is getting less and less everyday. Especially the medium sizes like Type 4, 5 and 6’s are getting over in the market therefore we suggest our buyers to take their final position for the current crop goods asap. We also would like to share the following statistics with you for the export quantities of dried apricots during the new season in comparision to last season. Over the last week in the growing region there has been a frost risk. 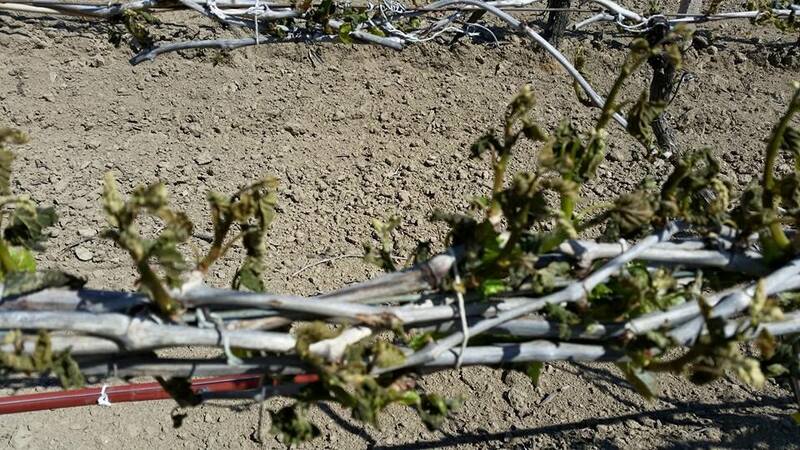 On the night of the 22nd there was a frost where temperatures dropped to -1 and some damage occurred in the vineyards. 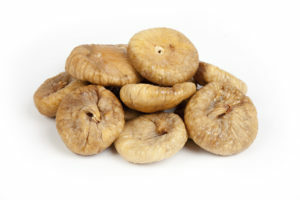 The tips and leaves have blackened and these will now not develop in to fruit. Last night the temperature dropped to -4 and early indications are that there is significant damage, it is being reported that in some areas the damage could be as high as 70% , but this has yet to be verified. At this stage all offers have been withdrawn until a full assessment has been carried out. There are frosts forecast for the next 2 or 3 nights so everyone is withdrawn and we will have to see how much damage they do. Already there have been losses of between 30 to 40% of the crop already with the potential to loose another 20 or 30% over the next few days. 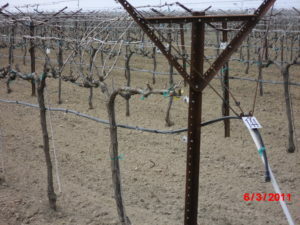 In the US the growth in the raisin vines are up to two weeks earlier than usual with stems between 18 to 24 inches in length following the bud break in the first week in March. 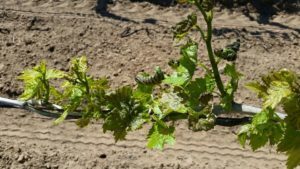 However, there is still continuing concern that the drought in California will create stress for the vines which will potentially weaken their resistance to insect and other damage. 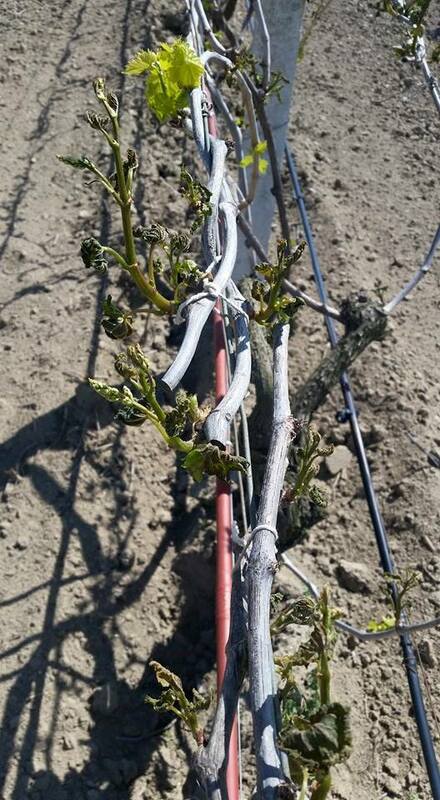 Irrigation management will therefore continue to play a critical role to determine raisin yields for the coming year. Californian raisins do however continue to demand a premium in the UK dried fruit market with exports to date between August 1 2014 and March 31 2015 recorded at 9,723 tonnes.